Hunters Estate Agents and Letting Agents in Castleford, previously 5Towns Sales & Lettings, work seamlessly between their Castleford and Pontefract branch to deliver the greatest services they can and help you sell or let your property. 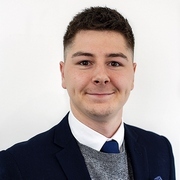 The team at Hunters Estate Agents and Letting Agents Castleford, headed up by franchise owner Mark Wheeldon, are situated right in the heart of the historical borough of Castleford and surrounding areas. Vicki, Natasha, Lisa, Ricky and Sarah are the hard-working team who support all the great aspects of the Hunters franchise. At Hunters Castleford, their focus on marketing strategy is strong and with all the materials they need provided by the Hunters dedicated marketing department their customers are seen across a huge variety of media. This includes the four top property portals; Rightmove, Zoopla, OnTheMarket & PrimeLocation. One of the main focuses at Hunters Estate Agents and Lettings Agents Castleford is marketing your property in the best possible way, including, detailed floorplans, high impact photography and Premium listings on the major portals – all as standard. At Hunters Castleford a No Sale – No Fee offer is a standard and they also provide free accompanied viewings, 6 days a week to help secure the result you want. Why not pop into our branch at 69 Bridge Street, Castleford, WF10 1HH, call us on 01977 232 800 or email us on castleford@hunters.com for more information, or to discuss you property needs more. Click to view preferred suppliers for Hunters Castleford. VAT Reg No: 197 0188 79 | Registered No: 09188294 | Registered Office: Southgate Business Centre, 32 Gillygate, Pontefract, WF8 1PQ. Mark has worked in lettings and estate agency for over 20 years and originally founded his own lettings business in 2010 from a small business centre premises and has with the help of a superb team grown the business to an exceptional level in both sales and lettings culminating in becoming a Hunters franchise partner in 2018 with branches at Castleford and Pontefract. 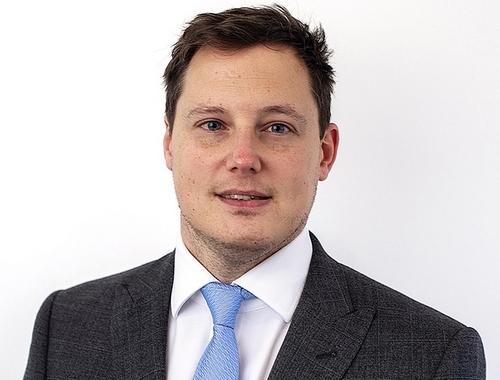 Mark is passionate about both property and customer service and delivering an outstanding service to clients. In his spare time Mark enjoys spending time with his young family and travelling. Vicki joined the company in 2012 and quickly progressed through the ranks to become Managing Director. 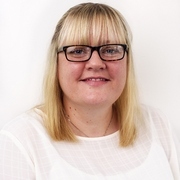 Vicki oversees the management of the whole company using her wealth of knowledge in both sales & lettings and ensuring that property owners/buyers and landlords/tenants are given a 100% customer focused service. Vicki was raised locally and still lives in the local area providing a valued knowledge of the local five towns area. In her spare time she is kept busy looking after her young family. 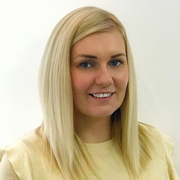 Natasha is the Senior Sales Negotiator for the Castleford team and thoroughly enjoys every aspect of her job from managing sale progression to marketing properties. She brings a fun and positive energy to the office while maintaining a professional hard-working ethic. 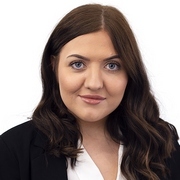 Natasha started her career in lettings and believes this has helped her to build a great rapport with investors and homeowners in particular. Natasha was raised locally and still lives in the local area providing a valued knowledge of the local area. Outside of the office, Natasha spends most of her time with her friends and family and has a passion for makeup artistry. Lisa joined the team in 2017 as a Sales Negotiator after 9 years in the lettings industry. 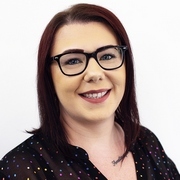 Lisa quickly realised estate agency was the career path for her having a passion for great customer service and the desire to see a sale through from start to finish. Living locally, she has great knowledge of the area which helps her to build good solid relationships with both sellers and buyers. In Lisa’s spare time she enjoys days out with her young family and socialising with friends. Sarah has extensive experience within estate agency, and has great commercial awareness of estate agency. Sarah was born, raised and still lives in the Castleford area meaning she enjoys a fantastic insight and knowledge of the local area. This, coupled with experience in sales and customer service means Sarah is a welcome asset to the team. 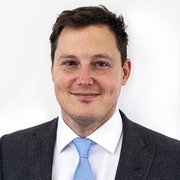 Ricky joined our team in 2018 excited and eager to learn as much as possible about the property market and sales negotiating. Coming from a background of 11 years customer service whist gaining NVQ qualifications, he prides himself on delivering exceptional service and satisfaction. Ricky is a very friendly and approachable team player and loves nothing more than seeing a customer walk away happy and content. During his down town he loves to go watch his favourite rugby team and enjoys making memories with loved ones. Ricky was raised locally providing a valued local knowledge.